Note that this game is build on Adobe Flash and it will only work on desktop computers and laptops and not on tablets or smart phones. Find out how to win at life! Do you need a breakthrough with your finances? Do you need more quality time with your family? Are you satisfied with your health and wellness? Is there a lack of confidence that you feel? Do you want to know how to win at life? Play Your Wheel of Life game to find the answers to your questions. The problem is that most people go through life not knowing how they feel about themselves and the world around them. They know they aren’t where they want to be but they don’t know why. In life, few people take the time to really reflect on where they are. It’s possible they are too scared about what they may discover and find the idea of self-reflection frightening. Or perhaps they don’t know how to correctly value what they have in life. But this self-reflection is VERY important. Knowing where you are in life gives you direction to help you set your goals. It allows you to target specific areas and improve your life as a whole, rather than only one part. You MUST take the time to better understand yourself, and the factors in life that create happiness. Only then can you discover what you need to do to achieve true abundance. My name is Scott Epp and I am a life coach. I love my work because I help people create joy and abundance in their lives every day. I have seen miracles, so I know for a fact that every person can win at the game of life – and I know how you can get there. I am so convinced that this game will help you begin on your journey to lead a happier and more abundant life, that I want to offer it to you for free! That’s right, no strings attached, because I believe in it and I truly want to share it with you. 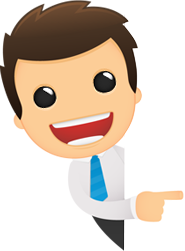 Complimentary Coaching Session – Playing the game makes you eligible for a 100% FREE complimentary online coaching session with a professional life coach. You can cash in this session whenever you’re ready to find true direction in life and start on the path toward balance and abundance. Personalized Analysis Report – Once you’ve completed the game, you’ll receive a personalized analysis of what your results mean and how you can use them to start getting more joy and abundance out of life right now.You can also look forward to free personal development tips in the coming weeks. Free Newsletter – You will receive Your Abundance Coaching newsletter filled with tips and tools for helping you achieve abundance based on your Abundance Life Wheel results, links our inspiring videos, and more. Printout for Clarity – You will have the opportunity to print out The Abundance Life Wheel results, so that with a glance you can remember where you are working toward more joy and abundance. You will receive all of these bonus items just for playing the 100% FREE, NO OBLIGATION Abundance Life Wheel Game. There is simply nothing to lose, and a great deal to gain. Once you’ve played the game, your results will be used to guide your complimentary coaching session. You’ll truly be on your way to the life of your dreams. Are you winning or losing at the game of life? Find out now! There’s no time to delay! It’s time to start your journey. CLICK HERE to Play your Abundance Life Wheel game now! 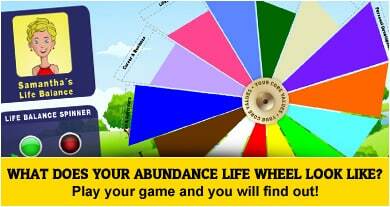 Your Abundance Life Wheel game is completely free! If you got value from this game then please donate. Your donation is very appreciated and it will go towards creating coaching games that will ad value to you and thousands of other people.